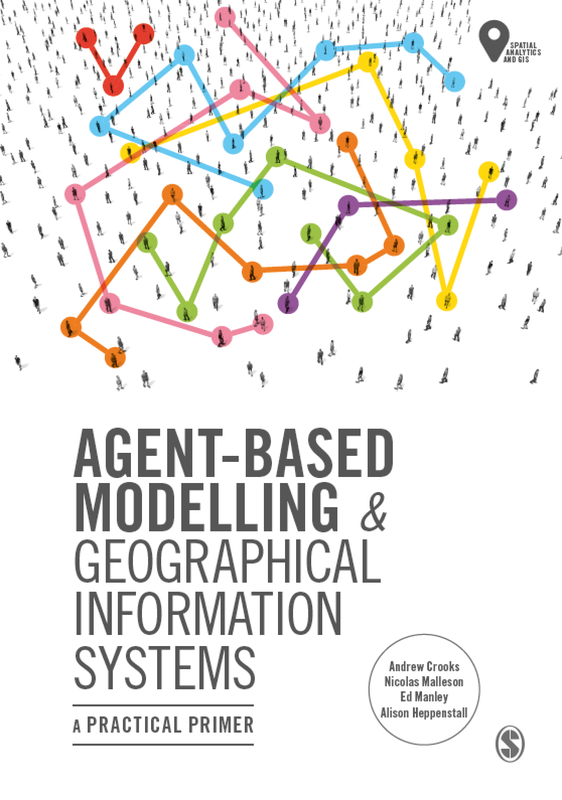 While its been around for some time, I have recently just come across two videos from the Redlands Institute, however the actual models and further details is limited, they show the potential of the extension for agent-based modelling. The first demonstrates the integration of Agent Analyst and Tracking Analyst within ArcGIS Desktop. Specifically the model shows a simulation of bird migration patterns of 2 species. The second model uses Agent Analyst to compare two urban growth scenarios. 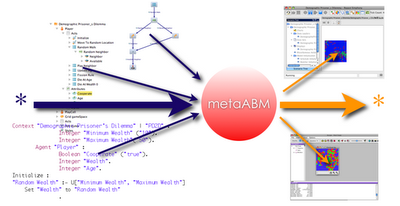 For more information including tutorials on how to use Agent-Analyst see the Agent Analyst website. 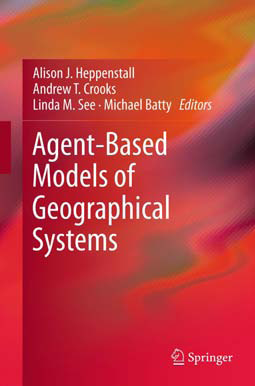 I am a great fan of NetLogo for the development of agent-based models. At CASA we have been exploring how one can loosely couple NetLogo models with 3D Max. The reason being that 3D Max offers a means of visualization which is beyond NetLogo's for example, building 3D city scapes. 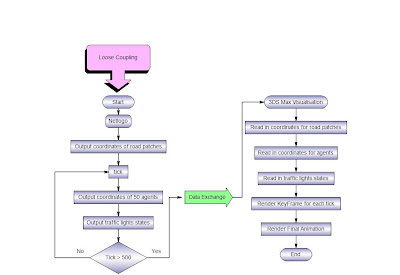 Ateen Patel a PhD student at CASA and author of the Crowd Simulation Blog has written a short tutorial (including the code) and several other posts on how to get information from a simple NetLogo Traffic Model and to visualize the model in 3D Max. The Crowd Simulation Blog is worth keeping an eye on for those interested in pedestrian modeling as Ateen's research and his blog explores new methods for rendering very large crowd scenes that contain the correct kinds of physics and dynamics that enable realistic simulations to be generated. We just finished another part of Agent-Street where agents and avatars can interact with each other. The idea here is to merge iconic and symbolic urban models in a multi-user real time environment. The movie below shows Agent-Street and how one can download the models we have created by clicking on the model vending machines. By clicking on the vending machines, models can be downloaded and saved. Such vending machines are common features in Second Life and allow users to store objects and scripts in their personal inventory for later use such as rebuilding the models on their own Land or in free sand-boxes. We have been using the Mauve Land for this (SLURL). In our previous models avatars could only visualise and initiate the models. For example, in the pedestrian evacuation model users could only observe how agents exited the building (in a similar way to professionally developed 3D pedestrian modelling software packages such as STEPS). In this new model, we extend the basic pedestrian evacuation model, so that agents not only consider their environments but also other avatars. 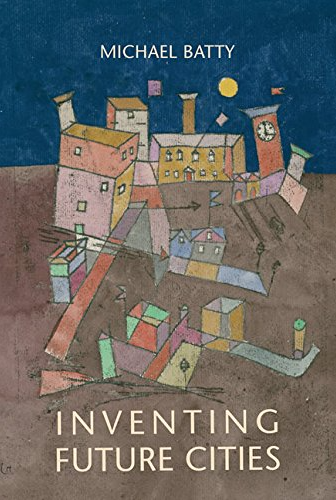 In this sense we are not only incorporating iconic and symbolic modelling styles but also adding a further human dimension, moving towards an augmented reality (i.e. as if the agents and the humans were in the same crowd). The movie below shows how pedestrian paths change when avoiding an avatar. The movie shows a how an avatar stationed near the exit impacts on pedestrian egress as agents have to move around it. Previous posts on our and others work on Second Life can be found by clicking here. We have also set up a website outlining the work in detail (click here) or alternatively if you have a Second Life account this SLurl will take you to the Land, once you teleport to the area, follow the red arrow (beam of red light) into the sky to find Agent-Street. If the models are running slow let us know as we having problems with fish entering our land from a neighbouring island. 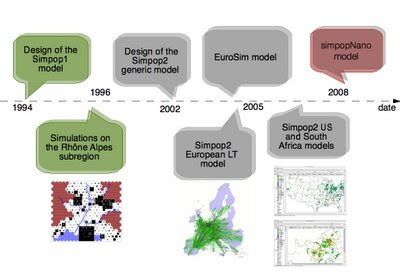 Tracking peoples movement is an extremely time consuming task to do by hand however such analysis informs our ability to realistically model peoples moment in pedestrian models. To see a video of the work click here. B. Leibe, K. Schindler, N. Cornelis, L. Van Gool. (2008). Coupled Object Detection and Tracking from Static Cameras and Moving Vehicles. In IEEE Transactions on Pattern Analysis and Machine Intelligence, Vol. 30, No. 10, pp. 1683-1698. A. Ess, B. Leibe, K. Schindler, L. Van Gool. (2008). A Mobile Vision System for Robust Multi-Person Tracking. In IEEE Conference on Computer Vision and Pattern Recognition (CVPR'08), Anchorage, USA, June 2008.